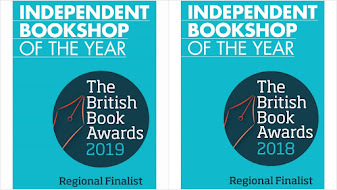 When booksellers get together they talk about many things - how their shops are doing, bookish discoveries they have made, that sort of thing. But perhaps the best anecdotes - reserved for late evenings in the bar at conferences - involve author events, brushes with celebrities...and the pursuit of the signed copy. But there's no mistaking the lure of the signed copy. 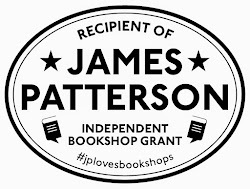 Dedications are great, but where this isn't possible a signed copy makes a wonderful gift. Booksellers themselves are not immune - when last year we got a few signed copies of astronaut Chris Hadfield's book a few days before Christmas, one of them mysteriously ended up in my stocking, and boy was a I chuffed. We've become aficionados of the author signature over the years. Some signatures are a work of art (Hilary Mantel's - above - springs to mind), some have obviously evolved after many years of signing thousands of books (Take a look at Derek Landy's signature - but as the Skulduggery Pleasant books are so awesome, we're not complaining!). 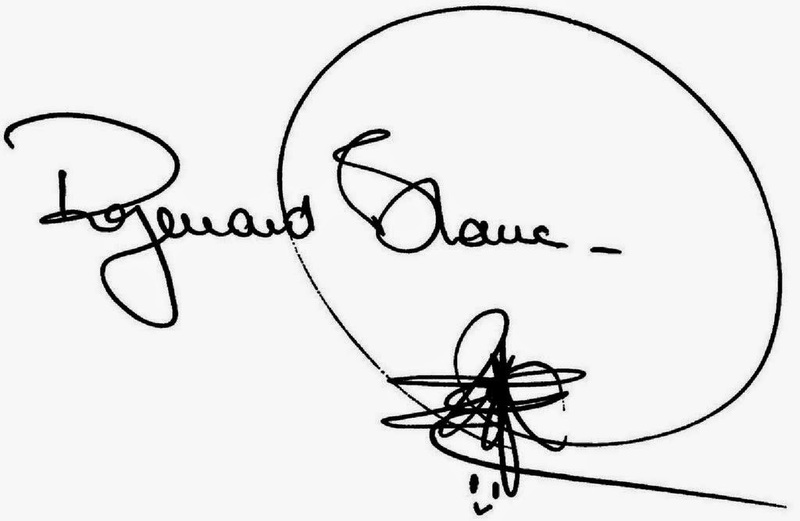 For insane amounts of effort for every single signature, it would be hard to beat Raymond Blanc. We watched him sit for nearly four hours signing hundreds of autographs until his kitchen-hardened hands almost went into spasm. There are definitely health and safety issues. For some authors, repeated signing can definitely take it's toll (Jodi Picoult sported an elbow heat pack when she visited us a few years back). A new addition to CJ Sansom’s ‘Shardlake’ series is always a great event for fans, and the stories of the hunchbacked lawyer Matthew Shardlake during the reign of Henry VIII have already become classics. ‘Lamentation’ sees Shardlake again plunged into the deadly mix of plots, persecution and momentous history, investigating another mystery, this time set against the backdrop of an ailing Henry. We have a few signed copies – so please let us know if we can reserve one for you. For those well-loved characters who outlive their authors though, death is not necessarily the end. In recent years, it’s become increasingly common for a well-loved character – Bond, Jeeves and Wooster, Philip Marlowe – to be resurrected by a current author, and can be fraught with controversy and risk. Sophie Hannah has just performed the incredible feat of bringing back Agatha Christie’s ‘Poirot’ in ‘The Monogram Murders’. When the book was announced, fans of both authors held their breath – but everyone can relax. Christie ueber-fan Hannah is the perfect person to resurrect the well-loved Belgian, as he investigates a triple-murder at a plush London hotel in 1929. Infused with the things that make Christie and Hannah so appealing – skilful plotting, psychological depth and not a small amount of wicked humour – this is pure enjoyment. 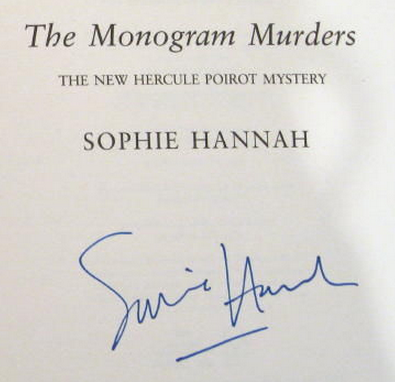 We have fond memories of when Sophie came to a literary dinner we held in Abingdon a few years ago, so we’re delighted that she has signed copies for us – and beautiful they are too! Finally, a big favourite with both staff and customers is Susan Hill, and a lovingly-produced hardback ghost story from Susan has almost become a Christmas tradition. This year ‘Printer’s Devil Court’ sees a truly unsettling ghost story set in Edwardian London. With echoes of Frankenstein, this tale of dark experiments involving four medical students is quick enough to read in a single sitting, but stays with you long after you finish. Signed copies of a beautifully produced edition available from us now.